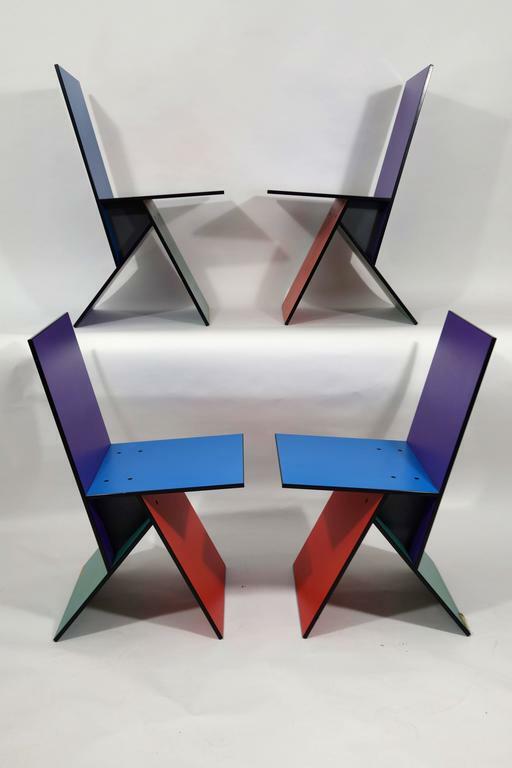 Set of four rare Vilbert Chairs designed in 1993 by Verner Panton for Ikea. Only about 4,000 of these chairs were manufactured. 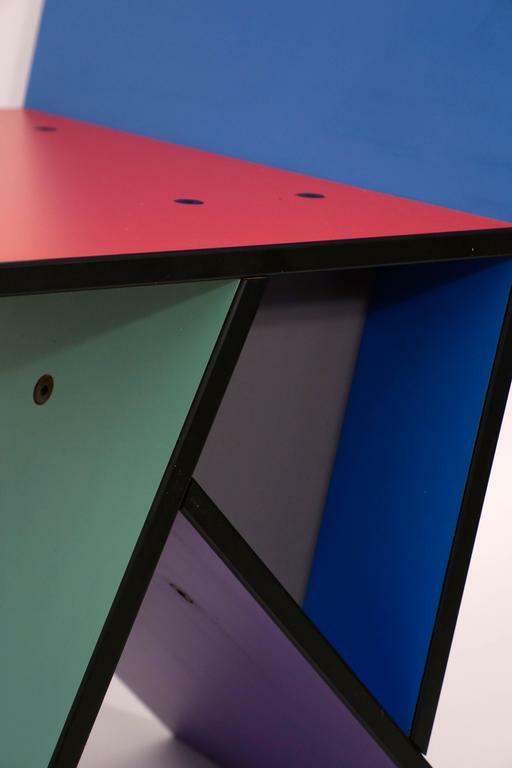 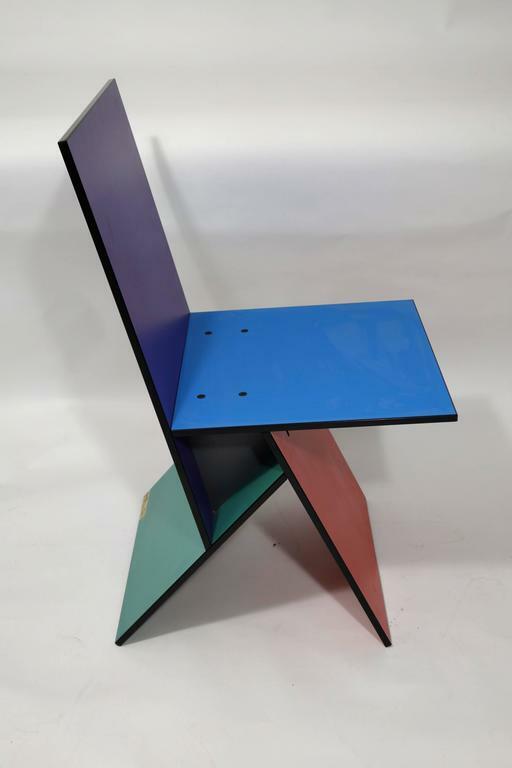 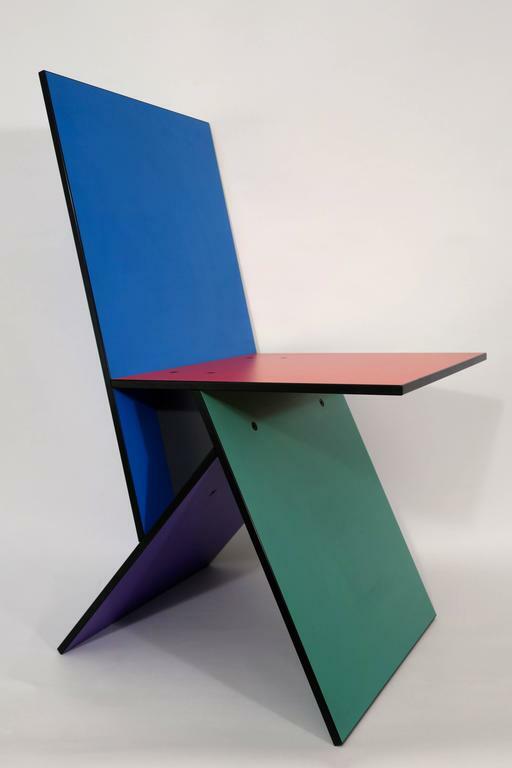 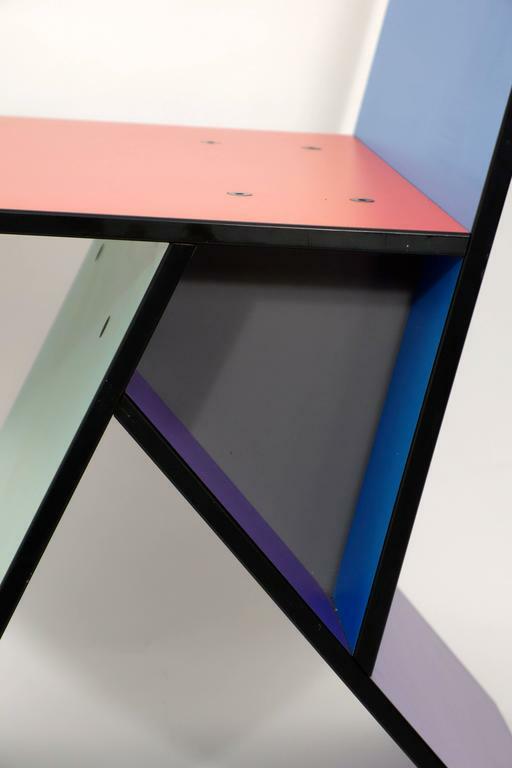 The chairs consist of four multi-colored MDF boards screwed together. 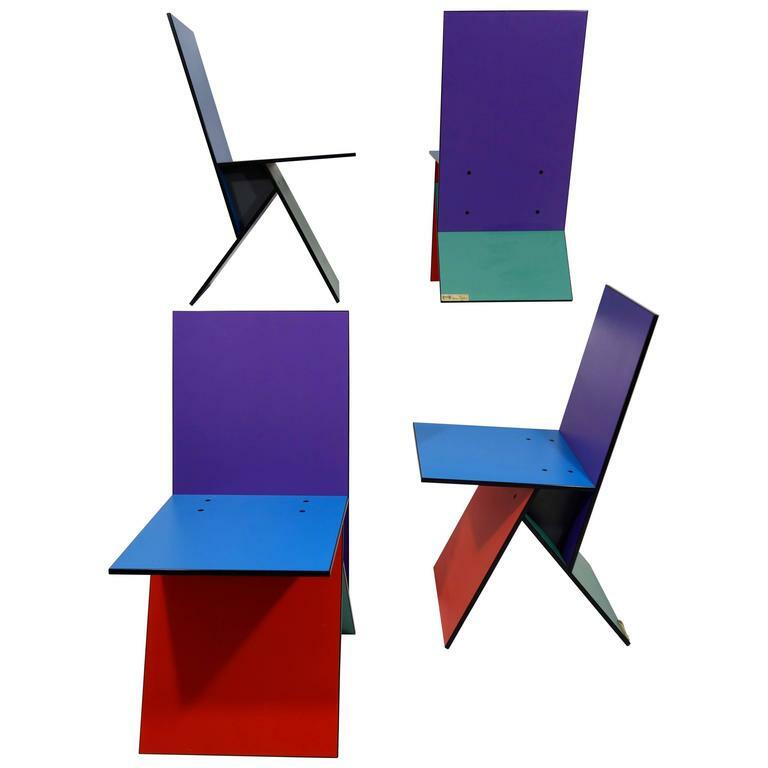 Vilbert came in two color schemes. 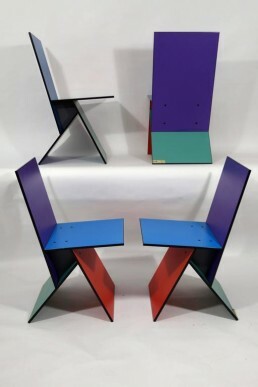 Three of this set are identical, whilst the fourth has the other color scheme. 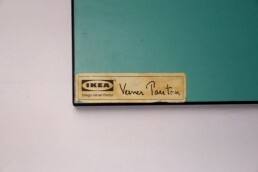 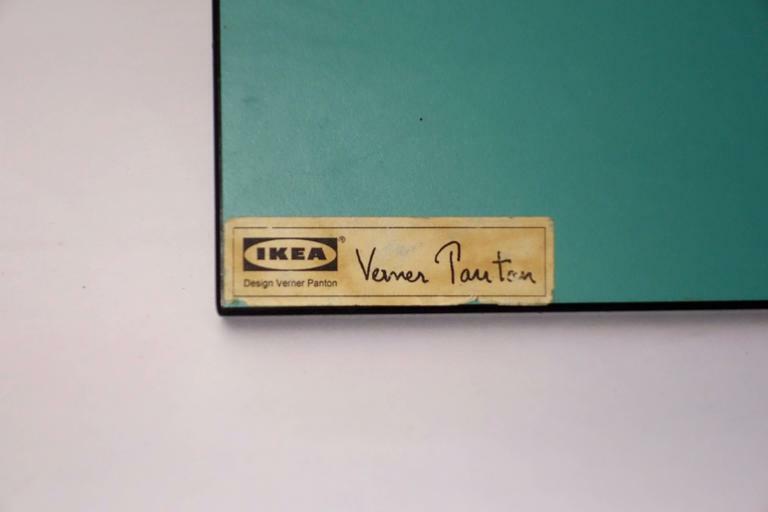 Marked ‘Verner Panton for Ikea’.